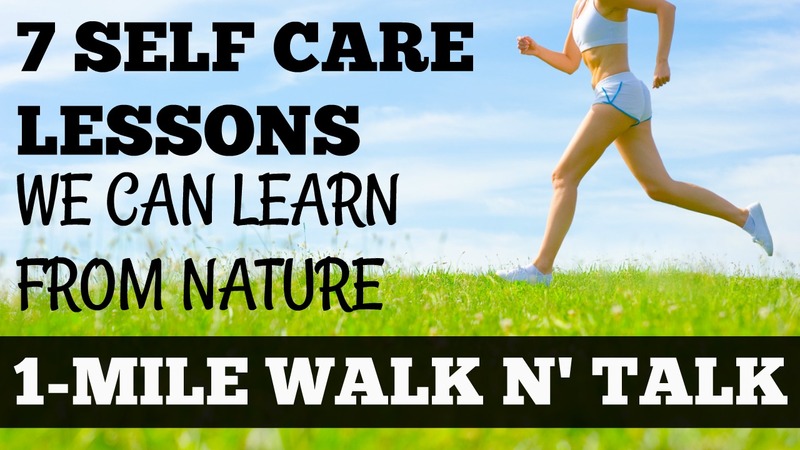 Self care is an important part of any healthy lifestyle, and today we’re talking about seven great self care lessons we can learn from nature (the ultimate example of wellness). If you need a boost of motivation or a dose of inspiration, join us for this basic, indoor walking session anytime – rain or shine! Thank u so much for sharing your videos .I’m 67 & live in South Africa . I simply love your workouts . U are like my own personal trainer that enters my living room everyday . I am feeling great after this 1 mile walk. I have been detected with a fasting sugar level of 128 mg/dL. So just started to be on a walking routine. Thanks a lot Jessica now! for all you are doing for the walkers. THANK YOU does not begin to cover the gratitude I feel for you and your simple to follow videos. I LOVE them and I LOVE the progress I’ve felt for the first time EVER with your videos! I’ve enjoyed your videos so much that I’ve suggested them to my patients that I do nutritional counseling with! You are very motivating, sincere,and real!!! Peanut is a doll baby who adds fun and cuteness to your videos. I appreciate seeing her because I love animals. I have a Hannah (shihzhu) and an Oreo (rabbit) who add joy to my day. Thanks for doing what you do since you are very inspirational; therefore, helping thousands of people!! !